(16/P123) TRENTON - Department of Environmental Protection (DEP) Commissioner Bob Martin and Labor and Workforce Development (LWD) Deputy Commissioner Catherine Starghill provided homeless veterans resume-building and interviewing tips to homeless U.S. military veterans today, as part of the Christie Administration’s annual Season of Service campaign that helps state residents in need during the holidays. 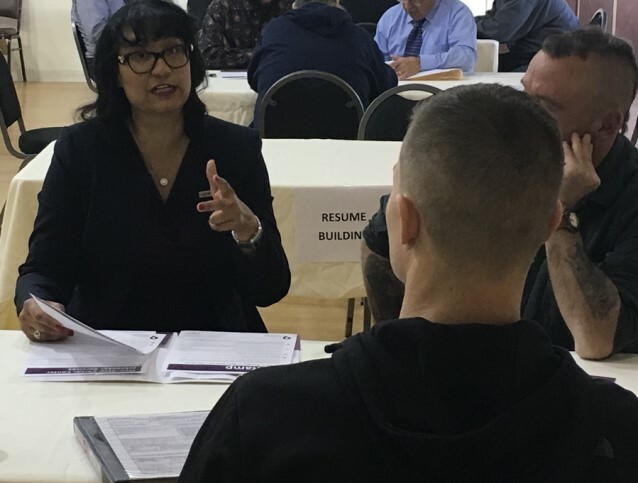 DEP and LWD staff joined the commissioners today at Veteran’s Haven North in Glen Gardner, Huunterdon County, to offer guidance on translating military experience into the general workforce, as well as the many re-employment and training resources available to veterans. 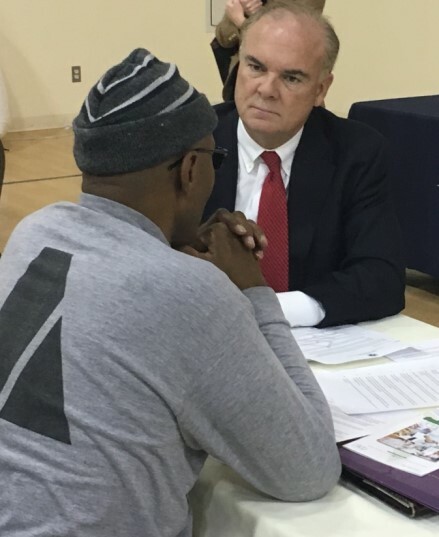 Guidance documentation was also provided to veterans from both agencies to assist with future interviews. Established in 2012, Veteran’s Haven North is a transitional housing program for homeless veterans under the direction of the New Jersey Department of Military and Veterans Affairs. The facility is comprised of a diverse team of professionals specializing in psychosocial rehabilitation, social services, addictions, vocational rehabilitation and nursing. DEP holds annual job fairs for veterans and actively solicits veterans and reservists for positions within the agency. LWD's New Jersey Career Connections program offers a multitude of online and in-person services for job seekers and businesses. LWD works with more than 12,000 veterans each year in its 29 One-Stop Career Centers throughout the state. The agency also maintains a staff of approximately 40 veteran representatives, many of whom are former military personnel. They assist veterans in developing resumes that properly communicate their aptitude and skill sets to employers. The representatives also assist veterans with networking skills and match veterans to job openings.